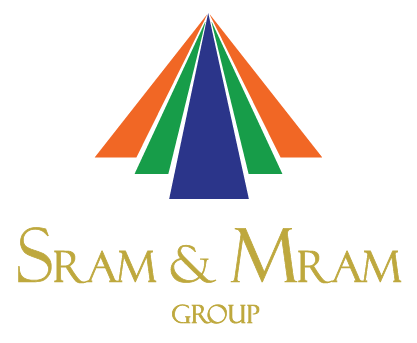 SRAM has launched SMEXASEAN, an exclusive market place for the ASEAN markets to enable to showcase their wares across the globe through SMEXASEAN. Future plans include exploration of similar business opportunities in Africa, SAARC, MENA, GCC, Europe and India under the SMEX brand. SMEX is a pioneer in SME online marketplace for the SME & MSME Sector serving B2B, B2C, B2G, G2B, B2N, N2B clients with end-to-end supply chain management starting from buying, selling, manufacturing, trade finance, warehousing, retail, logistics and banking facilities. The only portal for legitimate buyers and buyer organizations to connect with genuine sellers from SME & MSME sectors. Functional, efficient and effective portal helps to List/Find Products, Submit RFQ, Contact Suppliers, Place Orders, Make Payments, Record Feedback and Solving Disputes amicably. SMEX Bank provides seamless integration of SMEX authorized banking partners providing exclusive Banking Solutions for both the retail & debt segment for all the members with credit of SMEX including Trade finance - Pre-Shipment, Post-Shipment and Packing Credit, LC, SBLC, Bank Guarantee, Freight Insurance etc. SMEX Warehouse facility is an exclusive and extensive network of warehouses, with cold storage facilities for perishable, FMCG and non-perishable goods as well. All the warehouses are equipped with latest technology for storage features. Buyers and sellers can utilize SMEX warehouses at a fraction of the cost of buying/leasing an exclusive warehouse premise. SMEX Freight Management solution offers services to manufactures, buyers and sellers to control the storage, dispatch and transport of goods via land, sea and air with live tracking features using GPS and RFID technologies. All businesses including Government can bid directly with the Private Sector, enabling online management of Tender Marketing, Bid Consultancy, Joint Ventures and Consortiums, Document Procurement, Dedicated Relationship Manager and Tender Notices. Registered Buyers and Sellers can bid, place orders, store in SMEX Warehouses, Send/Receive/Refund prompt payments via SMEX Bank also insure goods via SMEX Insurance.